"Returning violence for violence multiplies violence, adding deeper darkness to a night already devoid of stars." "Ten thousand fools proclaim themselves into obscurity, while one wise man forgets himself into immortality." "The church was not merely a thermometer that recorded the ideas and principles of popular opinion; it was a thermostat that transformed the mores of society." 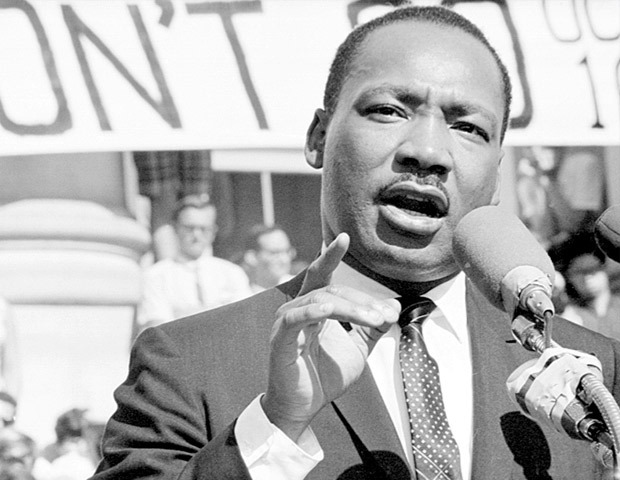 "Now, I say to you today my friends, even though we face the difficulties of today and tomorrow, I still have a dream. It is a dream deeply rooted in the American dream. 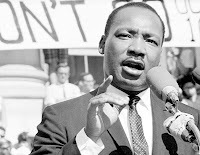 I have a dream that one day this nation will rise up and live out the true meaning of its creed: 'We hold these truths to be self-evident, that all men are created equal.'"